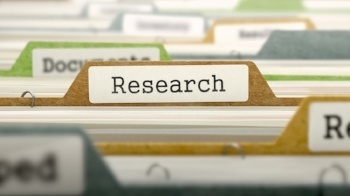 Look through the links below to explore a variety of useful market research resources — including tools, websites, articles, and free data. You can find and access the research you need quickly and easily on the platforms featured below. We've included videos to explain each option. MarketResearch.com is your one-stop shop for ready-made market research reports. You can quickly search through thousands of reports from hundreds of top market research companies. Plus, if you have questions or want help, you can always speak to a research specialist for free. If you want to stretch your research budget — and you only need to locate specific data points — Profound is a great option. It’s the only comprehensive service on the web that allows you to purchase market research reports by the section. It also includes convenient search tools to help you find what you are looking for fast. Do you want a regular flow of new data and insights from top industry analysts? A research subscription through a Knowledge Center may be the right choice for you. The Knowledge Center makes it easy for you to create custom reports and presentations and search through an entire collection of research, rather than managing dozens of individual PDFs. For students and faculty, MarketResearch.com is an ideal way to access the same industry-leading research that top global corporations use on a regular basis. In addition to MarketResearch.com, you can find expert information on many different market research websites. Explore these sties to check out recent press releases, report abstracts, blog posts, and white papers for new data and analysis. The Freedonia Group publishes studies on automotive, construction, energy, industry components, plastics, chemicals, packaging, security, and more. Simba Information is widely recognized as the premier authority for market intelligence in the education and professional publishing industries. Packaged Facts has been a leading publisher of market research in the food, beverage, consumer packaged goods, and demographic sectors for more than 50 years. Freedonia Focus Report publishes high-level analysis in concise 20-30 page reports on a wide variety of markets and industries, from raw materials to finished manufactured goods. The MarketResearch.com blog and The Freedonia Group blog provide a steady stream of market research articles that provide practical strategies and recommendations. Here are some of the most popular articles on our sites that you may also find helpful. If you want more in-depth information than what can be found in an article, be sure to check out the extension collection of white papers and e-books that market research companies produce. These resources contain free market research on many different industries. We’ve included a few links below to get you started. Get market research insights on consumer goods, financial services, food and beverage, healthcare, technology, and more. You can also find a wealth of information about the food companies, pet industry trends, and innovative products on the Packaged Facts resource page. The Freedonia Group has published a growing collection of white papers and ebooks, covering everything from the building envelope to off-highway equipment.